30 | November | 2015 | ¿Dónde estamos? time flies when you’re having fun! 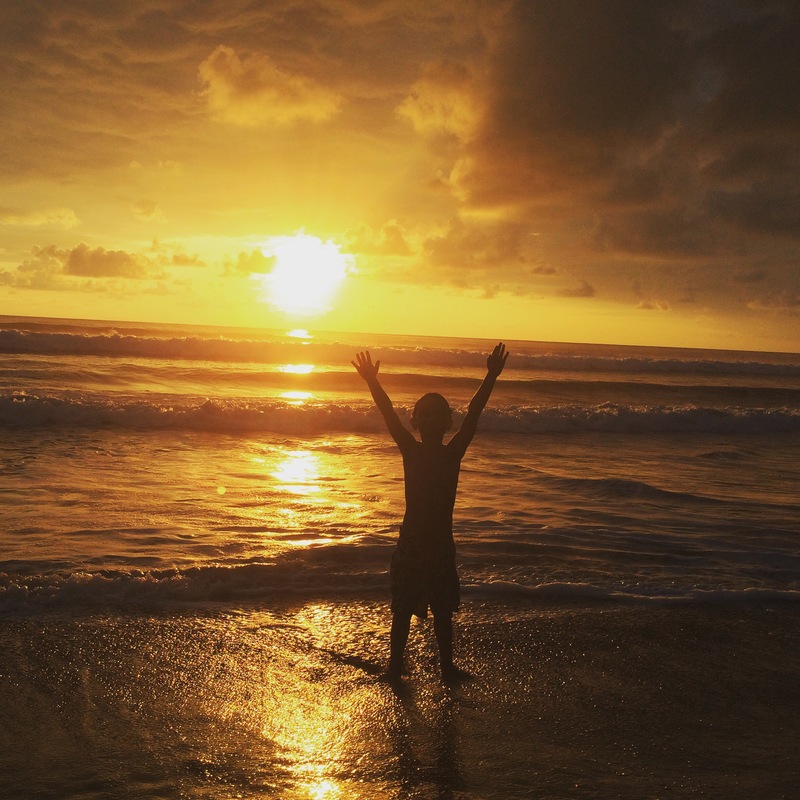 after our initial bumpy start in costa rica, the rest of our adventures to date have been nothing but awesome. we have had a lot of fun, from our super tranquil river house, to nayou’s school experience, not to mention the flora and fauna. 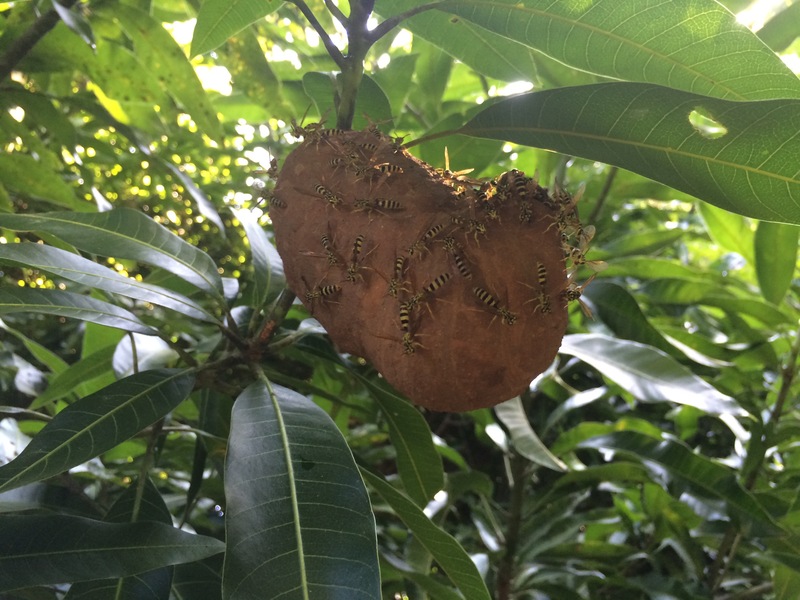 we catalogued what we saw in our backyard since arriving in uvita, and the list is pretty long, including toucans, sloths, capuchin monkeys, hummingbirds, fireflies and a plethora of weird and wonderful insects. 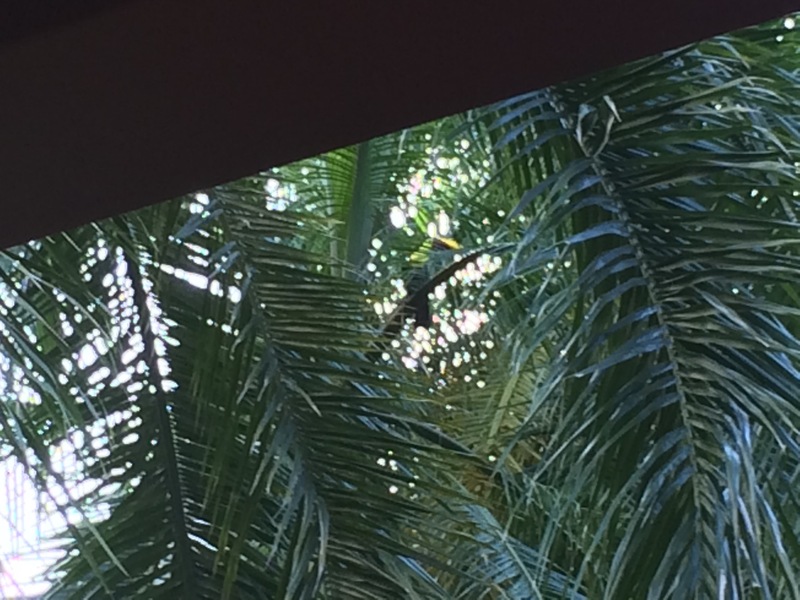 here is a rather blurry photo of a toucan we saw this morning. i wish my iphone had better zoom, because he was a beauty!